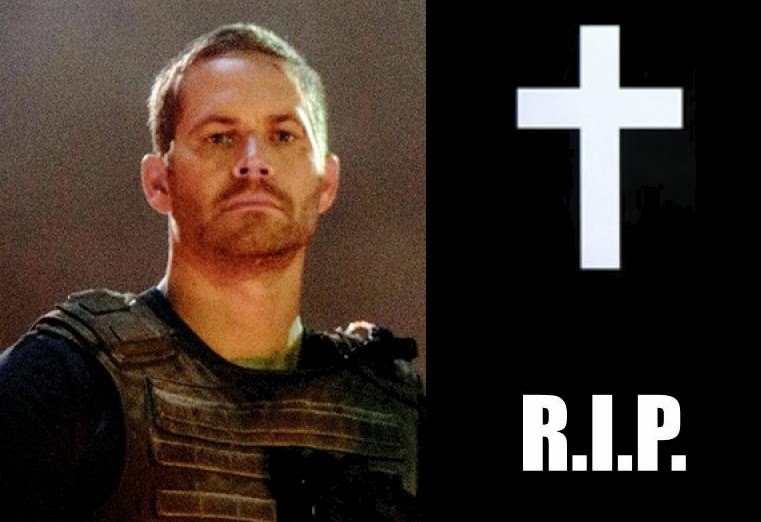 Fast and Furious Actor Paul Walker dies in car crash! Actor Paul Walker, who rose to fame thanks to his role as Brian O’Conner in the Fast and Furious movie franchise, has been killed in a car crash in California. From what I read here and there he was a passenger in a red Porsche sports car driven by a friend – who also died – when the accident happened. The actor was on his way to attend a charity event. Fast & Furious star Paul Walker dead in fiery car wreck. Actor Paul Walker killed after Porsche GT driven by his friend crashed into pole. That said, what does it mean for Fast and Furious 7? Will the film be canceled? Or are they somehow going to integrate Paul Walker’s disappearance in the story?